Located in one of the most impressive boutique outlets in Kemang Raya, Rooftop, happens to be one of the most happening destinations for the young socialites of Jakarta. 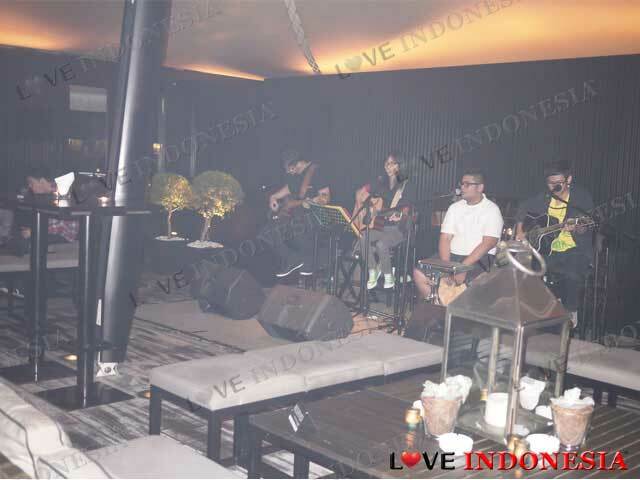 There are quite a few reasons why Rooftop is sought after by the youngsters, one is obviously for their amazing romantic candle lit setting which is nestled on the rooftop, enclosed in a beautiful white tent and also for their al fresco area which gives a bird's eye view of the bustling streets of Kemang. As a member of the SHYâ€™s fine dining restaurant group this place is surely to guarantee an exquisite menu. Their well known delicacies include BBQ short ribs, Salmon with wasabi creamed potato and a wide selection of tapas. Not to sound like a bunch of alcoholics and to â€œstrictlyâ€ experience the beautiful setting in all its glory we opted to start out the night with their startling martinis. With smiles all around we started off with their signature SHY Martini which is wholesome chocolate goodness in a martini glass. Duhlicious! Even though they are opened only from Wednesday to Saturday this place is always packed with crowds who also come to jam to the latest tunes performed by talented acoustic bands. This makes Rooftop more chilled out and an awesome venue to loosen up. You will also notice the regulars singing along with the band, which absolutely sums up Rooftop's vibrant atmosphere. Saya kurang begitu suka dengan tempatnya karena layoutnya kurang bagus. Duduk di sofa pun tidak bisa lihat live band karena ketutupan oleh tamu yang berdiri di depan band nya. Crowd nya pun agak campur, ada yang minum hot tea, coffee dan ada yang minum hard liquor botolan. Agak aneh menurut saya untuk crowd nya di tempat hang out ini. Sound system juga kurang untuk live band nya. Harga minum juga mahal untuk liquor nya. What is near "SHY Rooftop"?